RAIN OR SHINE WE WILL BE HAVING THE SPRING FEST EVENT!!! Welcome to Cornwall Park and Recreation's Website!! Here you will find information on sports, senior activities, and so much more! This site also has registration forms for all activities offered by Park and Rec. In "Specials" you will find activities/events/trips/camps offered by other local Park and Recreation Departments. Take some time to explore the website. Also please "like" and follow our Cornwall Park & Recreation Facebook Page!!! 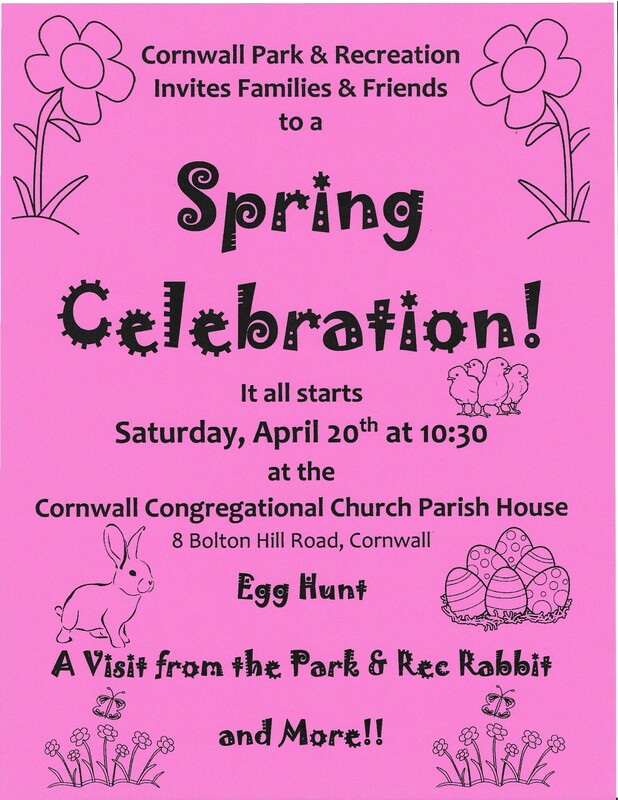 Spring Celebration - RAIN OR SHINE! !